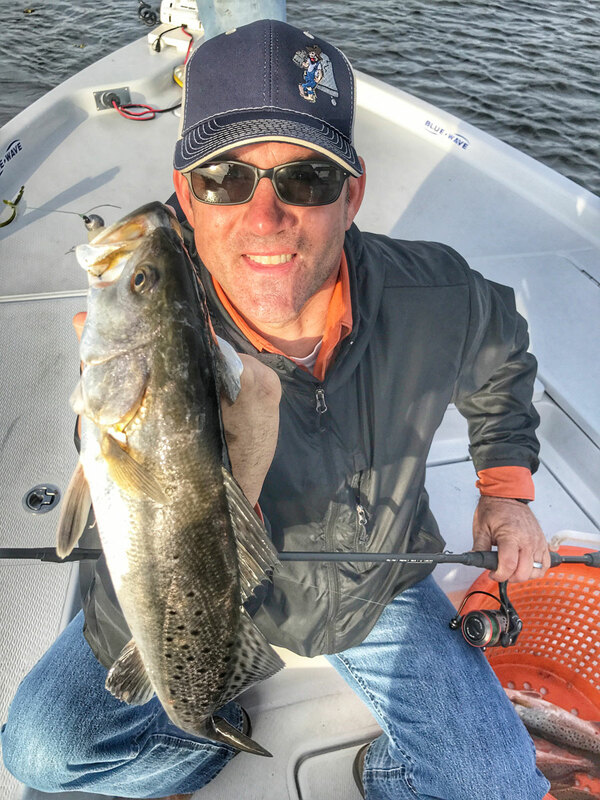 Sonny Brignac caught this speckled trout fishing a very foggy February day with Lacoste. Shrimp Creole Matrix Shad under a cork was the top producer on that day. 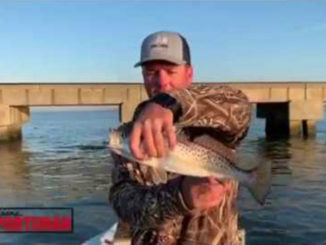 Here are 4 rules he follows to put his customers on huge schools of speckled trout in March and April. Capt. 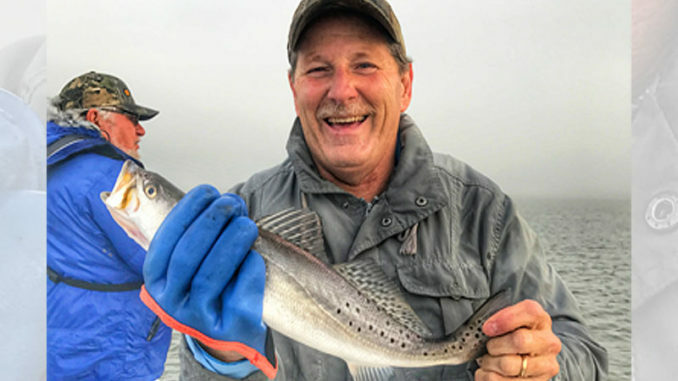 Marty Lacoste with Absolute Fishing Charters says if you’re shopping for speckled trout from now through spring, he knows the places to shop and the rules for successful shopping. 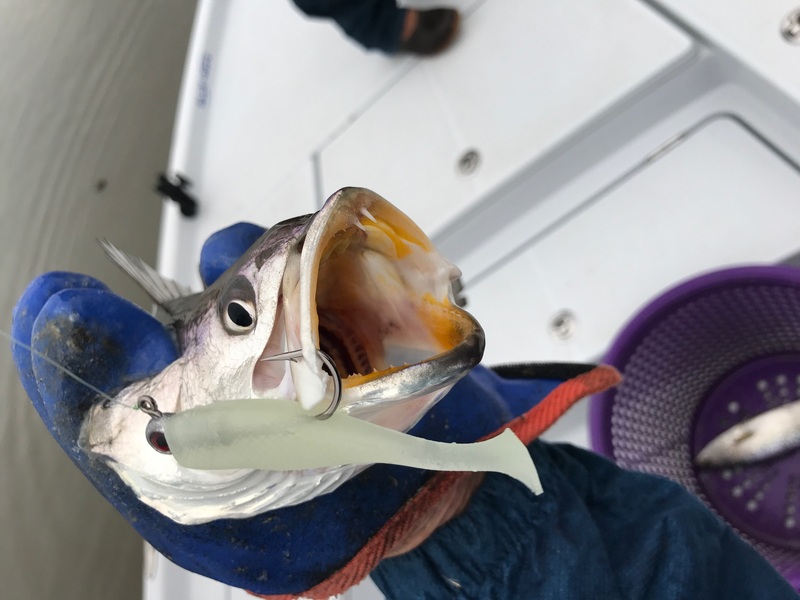 “The speck action has already begun and it’s only going to get better as we move farther into March and April, as the cold water warms and the bait shows up,” he said. “All the signs point to an early spring. We’re already finding trout in a spring pattern so if the rest of winter stays mild we’ll have some outstanding action the next few months in the big lakes,” he said. Lacoste says he’ll concentrate his efforts in Lake Mechant and just south of it, at four focal points. “Look for birds,” he said. “The shrimp show up as early as late February in mild winters, but either way they’ll show up by March. Lacoste says to look for birds over reefs and the mouths of bayous draining into any of the big bays. 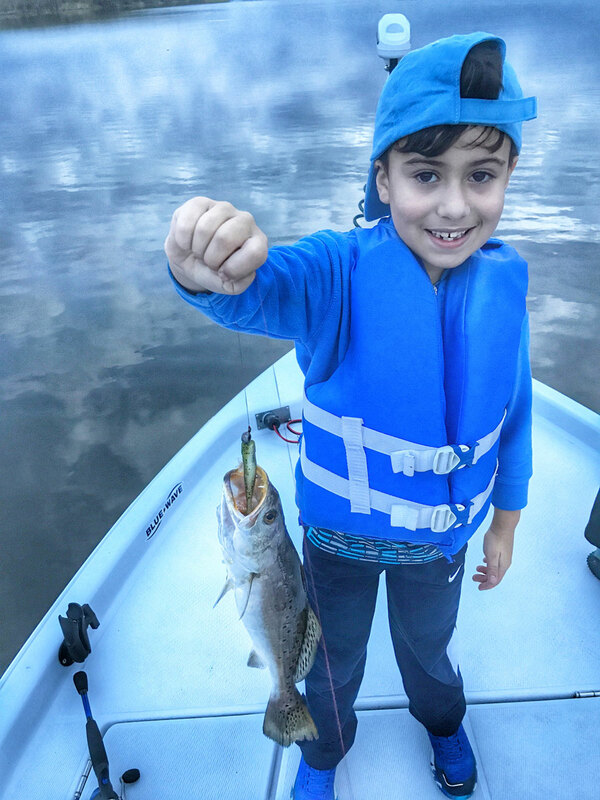 Cade Lacoste caught this Lake Mechant speck on a Matrix Shad green hornet. Some of the best fishing will occur where water is draining from the marsh into the lake. Kevin Kearny fished with glow Matrix Shad tight lined to put a hurt on the specks. Pick your days and go fishing when the wind calms down to find fast and furious action. “Fish prominent points where you see current,” he said. “It’s always good if you see shrimp jumping, which means fish chasing them. But either way, try a good current line when you don’t see birds. Matrix Shad glow minnow was LaCostes’ go-to lure most of the winter. 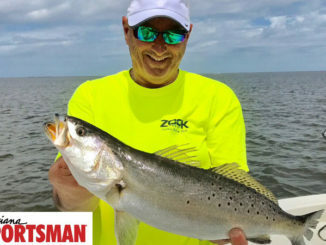 “Fish reefs— We often see birds over the reefs, but even when you don’t this is the time of year the trout will forage over them, and your single rigged plastic minnow on a ¼-ounce jig will provoke the bite,” he said. 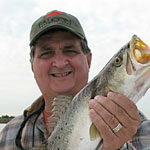 As for conditions, Lacoste says you can catch fish on any winds, but west winds are the worst because they muddy up the water, and it’s preferable if the winds are 10 MPH and under. And he says his favorite Matrix colors for spring are Glow, Green Hornet, Avocado, Shrimp Creole and Purple Haze. 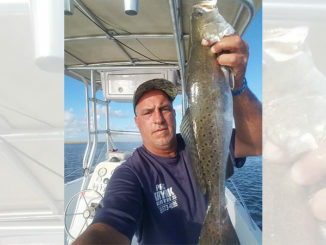 Rusty Tardo grew up in St. Bernard fishing the waters of Delacroix, Hopedale and Shell Beach. He and his wife, Diane, have been married over 40 years and live in Kenner.